-A medium sized, substantial wide-build solid black male. -A very powerful dog with EXTREME FIGHT DRIVE! ALWAYS READY GAME ON. 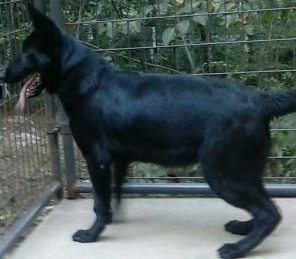 -The most extreme German Shepherd I've owned in 46 years! 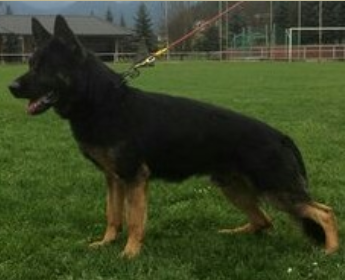 -His sire one of the world's most sought after stud dogs in working line German Shepherd world! 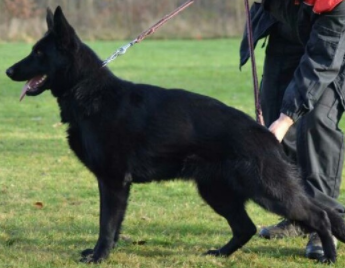 -HARYSSON AD GUR is one of the most intense German Shepherds in the world! 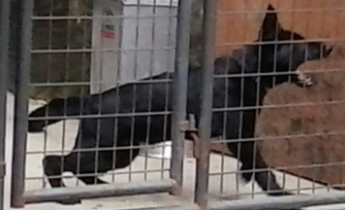 -The FCI WORLD IPO CHAMPIONSHIPS is an ALL BREED Competition with the racier Belgian Mallinois winning almost always basically dominating the COMPETION! -HARRYSON won FCI WORLD IPO CHAPIONSHIP in 2015 & 2016!!! -Two years in a row is no accident! -We are both excited and GREATFUL to Sean & Josef for getting us this Wild BEAST!